Well, isn’t this a turn up for the books? A second guest post in as many weeks – what’s happening to me? This was yet another offer that was extremely difficult to refuse. I adore Indian food and to be given a chance to write about it on a genuinely incredible Indian food blog had me a little overwhelmed! The timing of the offer was also rather perfect since I’m currently on a sort-of hiatus from food bloggery due to the fact I’m with my better half. Enjoy! Oh thanks, Tanya! Get over there! Hello, finally. Sorry I’ve taken a while to reply… I’m silly. Thanks so much, Priya. Thanks for leading me to Shumalia’s blog. I adore Indian food and can’t wait to start making some of these recipes. 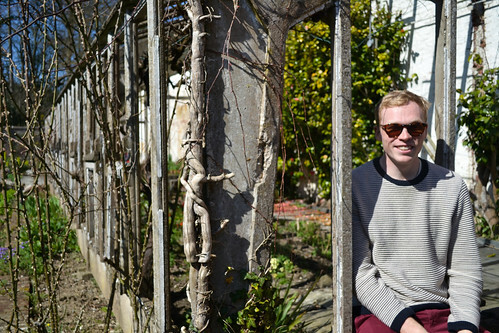 No problem – it’s such a good blog. Checking it out now! That looks soooo good! Looks awesome…hunting down that post! Fantastic! It’s SO delicious, isn’t it? Indeed, we could 😀 Thanks, Willow. I love a good chickpea dish. Me too, they are incredible pulses. Yum! I’ve just got back from a month in India so will be trying this out and posting some of the foods I found on my travels very shortly! Wicked, I hope you had a great time! the curry looks gorgeous! you cannot go wrong with chickpeas, spinach and some masala full curry! Thanks! You can’t it was so yum. 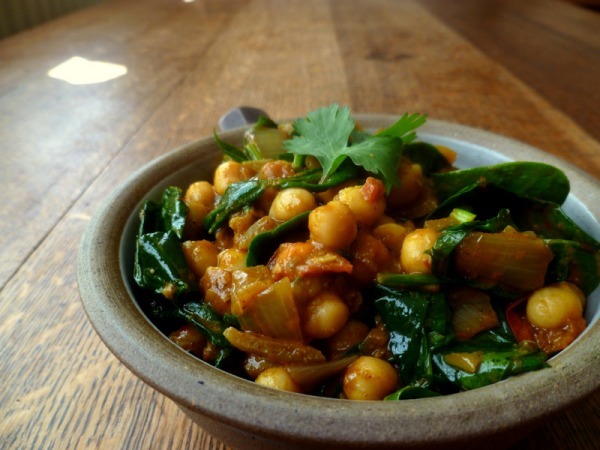 I love chickpea and spinach curry…. one of the benefits of my ex-husband from Pakistan! Hi, this looks great but I can’t see the recipe anywhere….